One of Summer's hottest tickets! 3 days of great Country Music, Camping and Great Fun! 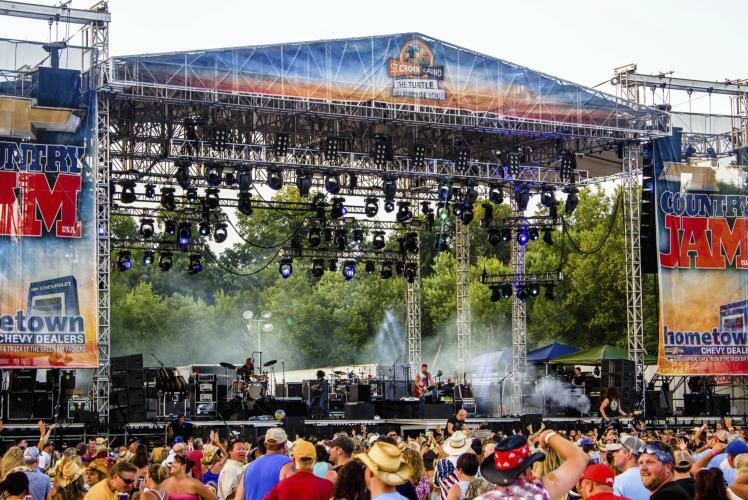 Whether you are pitching a tent or bringing the "big rig" Country Jam has the perfect campsite for you. Enjoy a Jam packed weekend with Country Music's Hottest Entertainers. This year the headliners include Keith Urban, Toby Keith and Jake Owen. Other performers that will be there are Maren Morris, Chase Rice, The Charlie Daniels Band, Travis Tritt, Dylan Scott, Sawyer Brown, Sara Evans, Chris Kroeze, LoCash and High Valley! General Admission, Reserved, and VIP tickets available.